The O’Leary brothers won’t be the only New Zealand farmers cheering on a horse they own in Tuesday’s A$7 million Gr.1 Lexus Melbourne Cup (3200m) at Flemington. Dan, Humphrey, Michael and Shaun O’Leary have become well-known as the owners of the warhorse Who Shot Thebarman, who will be having his fourth crack at the Melbourne Cup in a bid to better his best result, third in 2014. One of the opposition this year is Cambridge stayer Zacada, who is owned by Rotorua dairy farmers Andrew Bryant and David Armstrong along with Sir Patrick and Justine, Lady Hogan. There has been no joy in four starts with Zacada since the Sydney Cup and his owners were on tenterhooks awaiting confirmation of a place in the Melbourne Cup field until late Saturday. “It was an absolute roller-coaster,” Bryant said. “One minute we looked like we’d just get then there was a doubt. Like the Who Shot Thebarman camp, Bryant and Armstrong also have a strong support group on hand to cheer on Zacada on Tuesday. “There are 30 family and friends who have come over for some of them are farmers from around the area,” Bryant said. ”It’s great for us to have them here. Now we’re looking forward to Cup day. 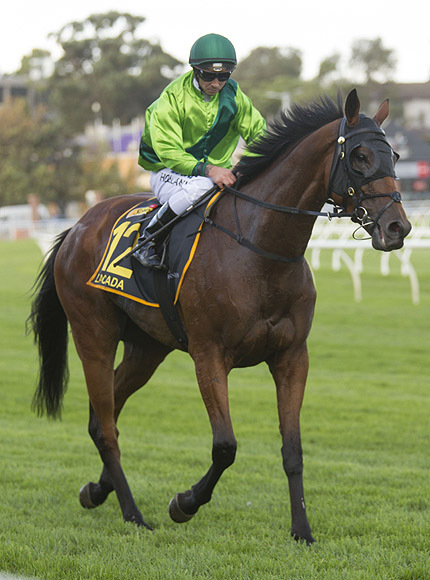 A proven stayer, Zacada is the winner of the Gr.2 Avondale Cup (2400m) back in January and also ran well when fourth in the Gr.1 Auckland Cup (3200m) in March prior to his narrow defeat in the Sydney Cup.